Impossibly green rice terraces and striking volcanoes set the backdrop for these small inviting islands. Vibrant dance and music, exotic luxury spas, superb shopping, epic surfing, white sand beaches, jungle hiking, enchanting temples, traditional villages and diverse diving are all here. 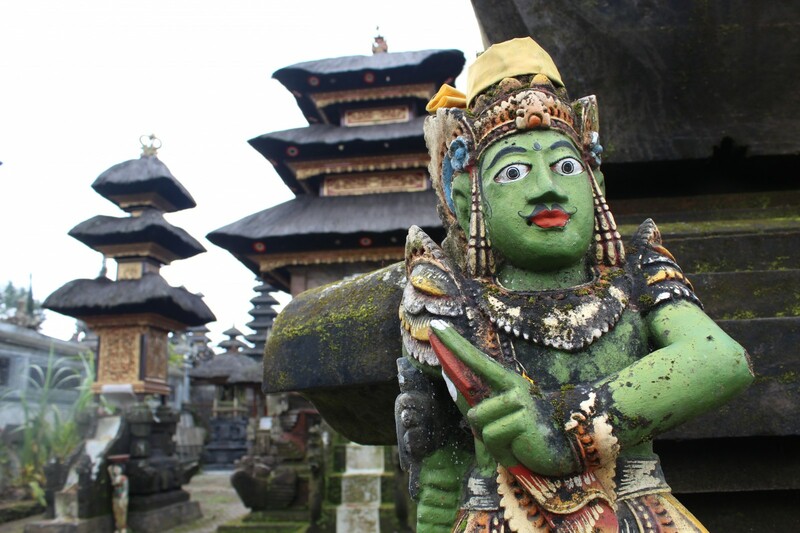 Spend some time in Ubud to explore the moss covered stone carvings of the Monkey Forest or enjoy a spice scrub and frangipani filled bath at a local spa. Listen to the cacophony of birdsongs in Bali Barat National Park. Hike the slopes of Gunung Rinjani, Indonesia’s second-highest volcano or lie on the white sand and contemplate the azure water of the Gili Islands. Diving at Bali and Lombok is sometimes underappreciated with all of the big name destinations around, but it is well worth exploring. Unique sites such as Nusa Penida, home to the weird and wonderful mola mola, cannot be missed. The WWII wreck of the Liberty is encrusted with soft coral and inhabited by hawkfish, nudibranchs, pipefish, eels, anthias, and frequented by schools of trevally and other pelagics. At the north end of Bali Menjangan Island has impressive drop-offs with grottoes and fissures, sponges and sea fans and loads of fish. Secret Bay and Puri Jati are excellent muck diving sites where you may see frogfish, flying gunnard, mimic octopus, cardinalfish and many juviniles. The lush reefs of Moyo Island are populated with batfish, lobsters, turtles and pelagics. Nitrox divers can explore a WWII Japanese patrol boat sitting upright on the bottom off of Gili Air.